Sustainability – not only in restoration but also in environmental protection. The SCHOMBURG group of companies places great emphasis on this. A range of our products has been subjected to strict testing. 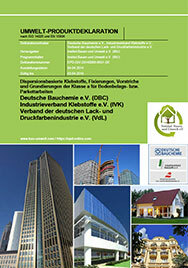 The adhesives and waterproofing products selected can now also be found in the Green Building product database at www.building-material-scout.com The products listed here contribute towards points in the LEED® and DGNB systems. 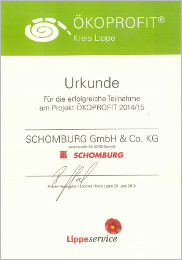 SCHOMBURG supports its customers with successful building certification to LEED® and DGNB. SCHOMBURG transparently provides relevant certified information. 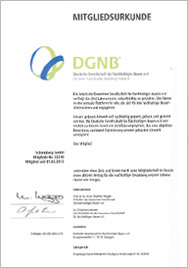 Standardised LEED® and DGNB declarations can be downloaded from the product database at www.building-material-scout.com. Product research and documentation is made easier for planners, architects and construction companies. We are responsible for our environment. Safety, environmental protection and health are priorities in our trade before commercial interests. In addition, many SCHOMBURG products also carry the EMICODE® seal. 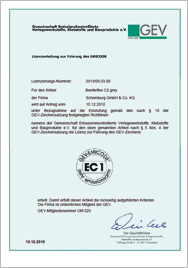 EMICODE® is a trademark protected logo for identifying installation materials, adhesives and construction products. These construction materials offer the best possible assurances against indoor air pollution. The EMICODE® system forms the basis of an exactly defined test chamber determination to EN ISO16000 with strict classification criteria. The tested construction products are free from solvents and hazardous substances. In the meantime, many SCHOMBURG products also carry the EC1 mark or even EC1Plus. SCHOMBURG purposefully subjected products to the strict tests and requirements, in order to achieve the best protection for applicator and user. 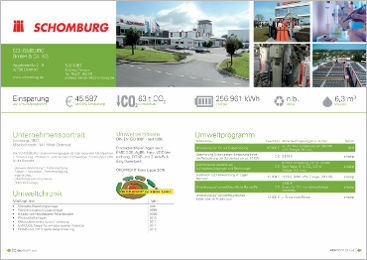 In addition, SCHOMBURG products with the VOC France logo have especially environmentally friendly properties. The emissions limits are stricter than the US LEED limits for VOC emissions. SCHOMBURG sets new benchmarks relating to the requirements for sustainable building and economy. In particular, the health and comfort of the user. This is assured, above all, via the use of low emission products. From multi purpose primers through levelling compounds, waterproofing products and on to the installation of tiles with the low dust flexible adhesive LIGHTFLEX® and grouting with CRISTALLFUGE-PLUS, the range is complete. Our construction materials, labelled with the EMICODE® seal, offer the greatest possible safety in terms of indoor air quality. The EMICODE® system follows the exactly defined test chamber determination to EN ISO 16000 and has strict classification criteria. The construction materials are free from solvents and hazardous substances. Indoor air hygiene is an important topic when choosing installation materials, adhesives and construction products. Settle for the greatest possible protection where health, environment and indoor room hygiene are concerned. Trust the EMICODE® certification. Plastic bags are also ecologically worthwhile for a diversity of products. Hygroscopic and, above all, rapid hardening products need clean, sealed packaging protected against moisture. Our plastic bags offer this protection as compared with our conventional paper bags. As these also possess an inner plastic layer, we achieve an improved ecological balance with our packaging. In addition to advantages in the filling process, this innovation offers storage and supply advantages to distribution and on the building site. As it is a closed system, dust formation during production is reduced to a minimum. Moisture penetration and the associated lump formation within the product is virtually eliminated. Dust from product stored in warehouses, caused by leaky valves, is not present and the risk of damaged packaging during transportation is reduced to a minimum. Long storage times as well as long term preservation of product performance is guaranteed with the new, recyclable plastic bags and consequently gives great value to customers – for distributors and users worldwide. With the company’s own solar plant, a large proportion of the necessary energy is produced in house. Furthermore, with the aid of an intelligent heat recovery concept , the production buildings are heated by heat lost during the production process. With the aid of our own water processing plant, we clean our production process water ourselves and filter all contaminants out. The water cleaned in this way can be disposed of through public drains.